A new 30kW battery in the Nissan Leaf will go on sale in December, delivering a claimed range of 155 miles. It will go on sale alongside the 24kW unit but will only be available in Acenta and Tekna trim, priced from £24,490 to £27,940 including the UK government’s £5000 Plug-in grant, which was recently extended until February 2016. 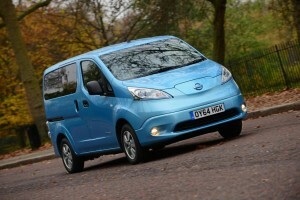 Nissan is also increasing its warranty for the 30kW unit to an eight-year, 100,000-mile warranty. The new battery brings an increase in range of around 25% over the alternative 24kW unit, according to Nissan. It has the same dimensions as the lesser-powered unit but is 21kg heavier. The manufacturer says this longer range is the result of the introduction of carbon, nitrogen and magnesium to the electrodes in the new unit. Nissan expects the real-world range of the new battery to be around 12-15% less than the claimed 155 miles, representing a similar loss to the 24kW unit. 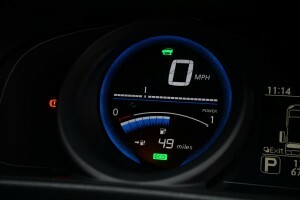 This would put the new battery’s real-world range at around the 135-mile mark. In Acenta and Tekna trims, the 30kW Leaf comes with a 7.0in touchscreen and the smartphone-compatible Nissan Connect EV infotainment system, which allows users to check the charge status of the car and remotely control features such as the air-con. The system the previous Car Wings set-up. 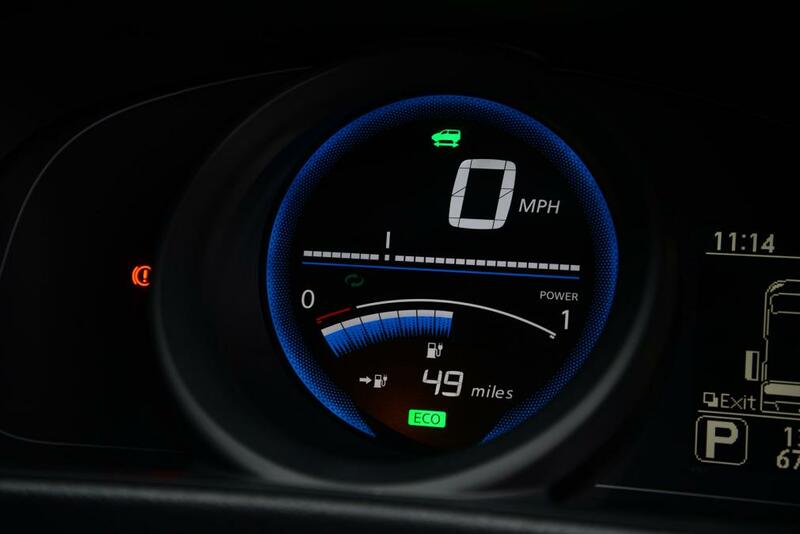 The new infotainment package includes a charging map that can show which charging points are available and which are being used. It also delivers maintainance alerts and a car-finder facility. Exterior alterations are minimal and include a new roof-mounted aerial as well as the choice of a new bronze colour. Diernaz also added that the Leaf range could expand in the future to new electric models. “It’s possible,” he said. “We will take this technology, improve it, and we are looking at putting it wherever it is relevant for us as a line-up expansion, and where it is releveant for a consumer. 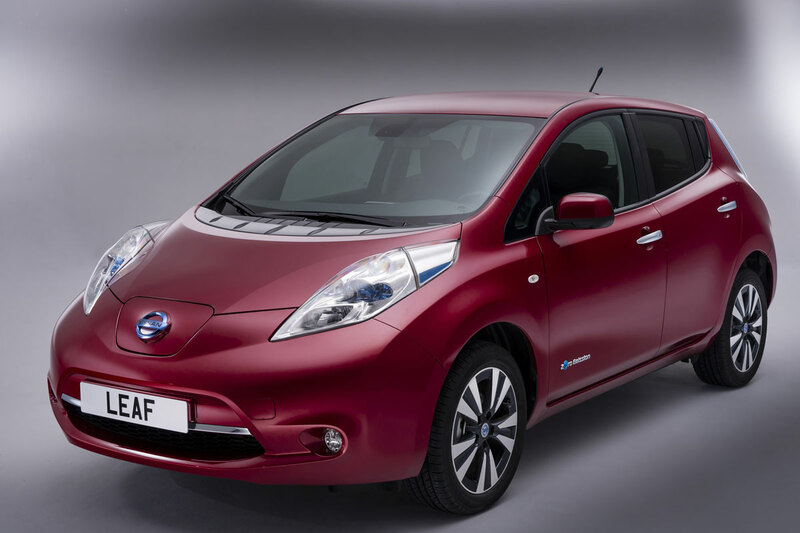 Earlier this year Nissan expanded the Leaf trim range with a new Acenta+ version, sitting between Acenta and range-topping Tekna priced at £24,740 including the plug-in grant. 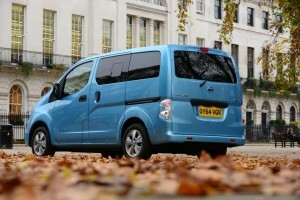 Built next to the petrol/diesel NV200 on the same production line, the e-NV200 offers similar functionality to its fossil-fuel burning sibling, but is powered by the same 24 kilowatt-hour lithium-ion battery pack and 80 kilowatt electric motor found in the Nissan LEAF electric car, modified slightly to make it more suitable for the heavier demands of life as a commercial vehicle. It comes with the same charging functionality as the LEAF too, only sold with 6kw pack in ireland and CHAdeMO. When it comes to cargo, Nissan says there’s 443 litres (15 cubic feet) behind the third row under the load bay tonne cover, or 870 litres (30 cubic feet) when filled to the roof line. This makes it ideal for life as a private-hire minicab, an airport transfer shuttle, or a family car. Indeed, both second and third row seats can be folded away to accommodate three full-sized bicycles, without requiring any dismantling of the bicycles first. 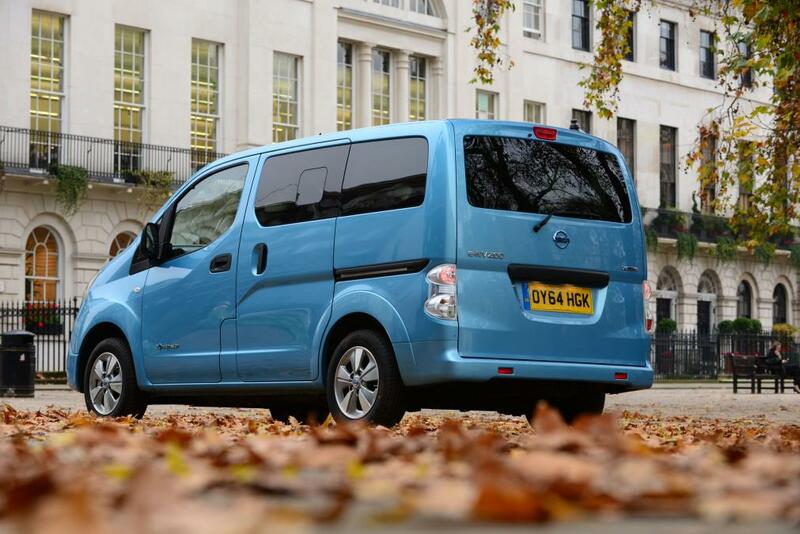 Prices and final specification for the 7-seat e-NV200 hasn’t been released yet, but we’d hope the difference in price between five and seven seats would be an additional few thousand as it is with the non plug-in NV200. A Citroen C1 was caught in Glasgow where there is free parking for Evs charging. 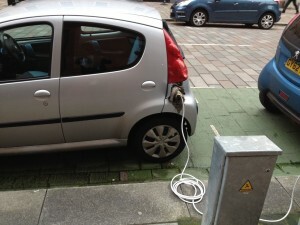 The driver might have taught he could get away with his C1 being a Ice to Electric conversion. It looks like they put the cable into the fuel filler and wrapped a rag to make a seal. 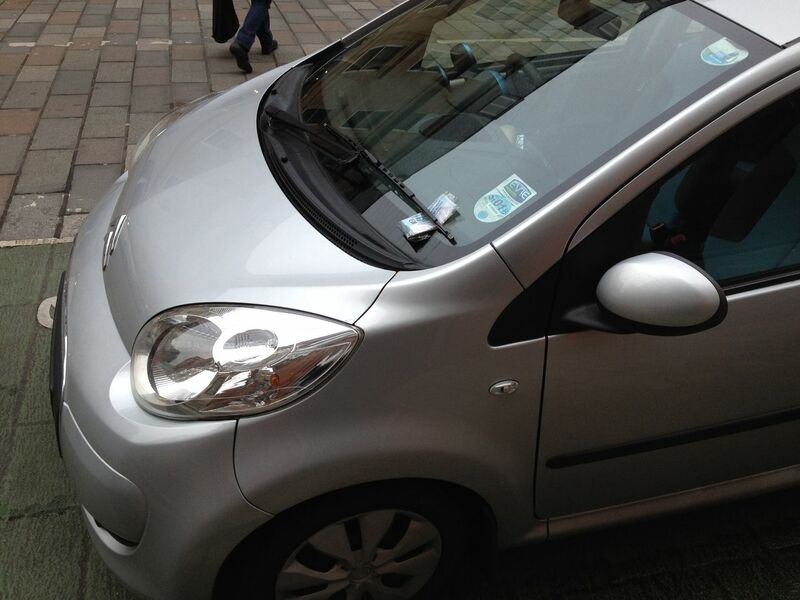 Fortunately the parking warden was no fool and a ticket can be seen under the windscreen wiper. We could do with more wardens like this in Ireland.